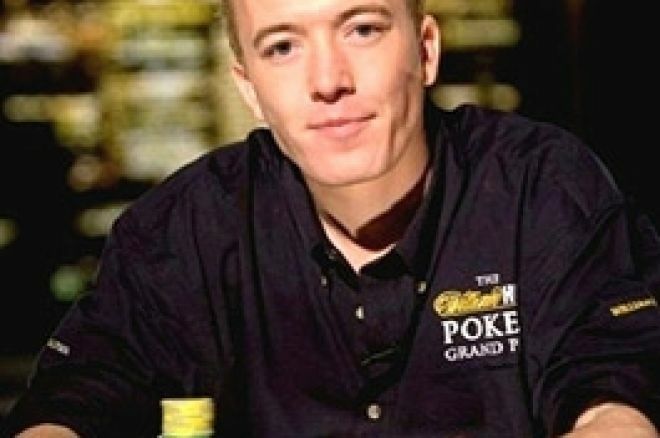 UK Poker News continues its interview with Greg Hill, who made such a splash in the televised William Hill Grand Prix earlier this year, beating some of the best in the business in the heats and then taking an early bath in the final after tangling with the mighty poker talent that is Ram Vaswani. See the earlier Part 1 for more on that. In Part 2 of this interview, Greg discusses some of his poker life away from the bright lights, the early success that led to the big decision to become a full time player and ponders what the future holds for him in the real world. UKPN: You gave up a regular job at the start of last year to set off on the poker adventure. Tell us more about this decision, the catalyst for it. GH: I used to work for a huge blue-chip company as a Human Resources Advisor and had a good steady job with a career path, prospects etc. (if I could have been bothered to finish my professional qualifications). However, I wasn’t particularly enjoying it, work pressures were getting too much and the stresses of listening to other people’s problems (real life bad-beat stories) just got too much. I managed to find another job on a contract basis doing just the recruitment side of HR but a week prior to starting the new role I stumbled across £37,000 for 2nd place at the Walsall Midlands Medley and decided that I would turn down the job and take some time out. I had managed some good results at Nottingham and Sheffield in the few months prior to this big win and was running hot so I decided I would take on the UK and European poker circuit. Ever since I put my first chip into my first pot I had wanted to play poker professionally so I thought that was the right time for me – still young(ish), no commitments, no huge outgoings to have to cover so I just decided to go for it. UKPN: What did you do then? GH: I decided to try my luck on the European Poker Circuit for a while. I travelled around and played as many events as possible for about 6 months before travelling to Las Vegas for the World Series of Poker, which was an amazing experience. UKPN: You also made an appearance on local radio to discuss online gambling. Tell us more about that. GH: Yes, this was really quite bizarre. I was round at the old folk’s house one evening talking to my Dad, when my mother arrived home from an awards evening at BBC Radio Nottingham, she had won a short story competition and was well chuffed with herself. We were talking about the evening’s events when out of the blue she slipped into the conversation that she had given out my mobile number to one of the researchers who was talking to her about super casinos, on-line gambling etc. She told the lady journo that her son was an on-line gambler and was doing ok for himself and that “he would love to come and talk to you about it if you like”. – Somehow mothers just don’t believe in consultation! Anyway I got a phone call a few days later and I reluctantly agreed to go on air and talk about the perils / merits of on-line gambling. You can read about it and listen to the interview if you wish on my blog. UKPN: You have said that your poker game has suffered in recent months. Do you think the ultimate disappointment at the Grand Prix has affected you more than you thought, especially because you were playing for a first prize of £150,000, and then some rogue cards in a key hand dashed those hopes? GH: I’ve no doubt that it has had an effect on my game, The WHGP was such a rollercoaster for me – the ultimate high after winning my heat and absolute despair after going out first in the final. The amount of money didn’t sink in until about two weeks later. My pride was so damaged that I didn’t think about the money, in a tournament situation its always best not to think about it as it will just affect your play. You have to just keep on going until the dealing is done and until you are knocked out. As for the rogue cards, yes I was completely cold decked but that’s poker, it happens every day, I was offered so many ways out of that hand but I chose not to take them – again that’s just poker. In the last few months I have come back down to earth a little. I have bought a house with my girlfriend and have been focused on furnishing it and making it feel like home, so I haven’t played that many live tournaments of late. A lot of my poker is played during daylight hours and on-line now, which is ok but there just isn’t the same buzz as playing live, especially when you go deep in a big tournament and make the last few tables. UKPN: Looking forward, whether as a full-time or a part-time player, are you hoping to go to Las Vegas for any of the WSOP tournaments? Or any other big live tournaments? GH: I would love to return to Las Vegas this year but I won’t be going unless I can manage to win a seat on-line or someone decides to take a punt and sponsor me (anyone?!!). I haven’t done much travelling recently, I have a lot on with trying to set up home and my bank roll has to re-prioritise for now. I will continue to play a lot of the festival support events in the UK and attempt to qualify via satellite for the main events and who knows, maybe there’s another big win just around the corner. UKPN: Your bread and butter is online play. Do you prefer to play ring games or tournaments online, and at what stakes? GH: To be honest, I keep a very modest on-line bank roll and I am still trying to find my way around the on-line poker jungle. I play mainly multi-table tournaments and single-table tournaments with only the odd dabble at the cash tables. If I play cash ring games at all, it’s usually either pot-limit Omaha or no-limit Holdem depending on my mood. UKPN: What do you look for in your opponents before deciding which tables to play and do you multi-table? If so, do you find multi-tabling an easy thing to do? GH: I usually look for a short handed table that has familiar players on it and players that I know are prepared to gamble, I hate sitting on a table of rocks, I find it boring! I am also looking for a table that has plenty of money on it compared to the blinds – I like to play deep stacked in order to allow for more moves and decisions to be made on every street – its just more interesting – I get so bored sometimes on-line so I need a game that will hold my interest. UKPN: Many people reading this may be relatively new to online poker. What advice do you give to someone with a genuine desire to increase their on-line bankroll over time, as opposed to simply playing for the fun of it. GH: I’m probably not the best person to ask on this but my general advice would be to always play within yourself financially, be in it for the long term and don’t gamble with money that you need or should be using for other things. Try to learn as much as you can whilst playing, take time out to study books, forums and strategy articles and always seek to get better. UKPN: You have had some big wins in casinos in the past. What is your advice to an online player who wishes to try their hand at live tournaments or cash games, where being face to face with their opponents can be off-putting for those not used to it? GH: This is a difficult one for me as I started out playing live before moving to on-line poker. I have however seen many an ‘internet player’ venture into the casino for the first time and I haven’t seen one yet that hasn’t been nervous, all fingers and thumbs and highly readable. I would advise playing some home games with friends first so you learn how to handle chips correctly, how to view your cards without other people seeing them and to get proficient in the live mechanics of the game. Once you have that cracked, then you can enter the lions den of a live card room with a bit more confidence. I would also advise picking a game where the casino or card club put on house dealers, who you can ask questions and will point you in the right direction during a game – I wouldn’t suggest a self-deal game as a good game for a first time live player. UKPN: Finally, Greg, after such an eventful year, what do you see as your goals in poker for the longer term? GH: The future is a little uncertain for me really. I will continue to play as much poker as I can and in the biggest games that I can but sustaining yourself in the live game without a sponsor is almost impossible. The expenses incurred when travelling the live circuit can be phenomenal and it only takes a couple of barren months for even a very good player to struggle. Having said that, I still have huge ambitions in the game and a real appetite for success so I’ll continue to work at it and try my hardest to win every competition I play in. – oh and I nearly forgot, I want one of them WSOP bangle thingies! UKPN: Greg, thanks for sparing your time to talk to us. UK Poker News wishes you every success in poker. GH: No probs, thanks for having me. Ed note: Download William Hill Poker for the biggest tournaments and monthly bonuses.